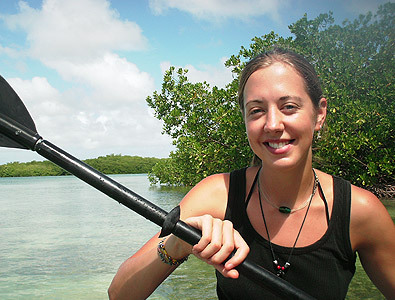 Carrie is an oceanographer and in 2016 was awarded a Fulbright Scholarship for work on the effects of rising sea level on coastal communities in the Indian Ocean. 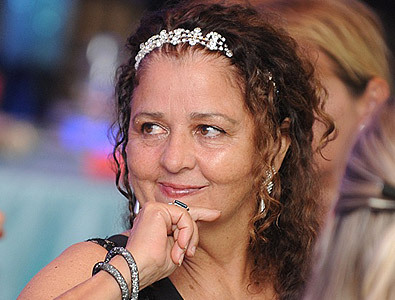 She established CCMI in 1998 and developed the Little Cayman Research Centre with a vision to advance the frontiers of coral reef science, conservation and education. Her Ph.D. in Marine Geology and Geophysics is from the University of Miami’s Rosenstiel School of Marine and Atmospheric Sciences. As President and Director of Research for CCMI her deep-rooted curiosity is in the extinction risks of modern corals and she is concerned about the influence reef degradation has on coastal communities. She leads a diverse research programme with collaborators from all over the world who work on topics including impacts of ocean acidification and climate change on corals, algae, and fish. In an effort to bring attention to threats to reefs she organized the 2016 symposium in London to “Rethink the Future for Coral Reefs’ with CCMI royal patron, HRH the Prince Edward. She is a recent contributor to the United Nations Chronicle writing on the Sustainable Development Goals for the ocean and as a member of the UN World Commission on Marine Protected Areas. As an educator, her greatest aspiration is for children to be ocean literate and she is invested in supporting early career scientists, especially in bringing science to society and in engaging women in science. Sam joined CCMI in February 2018. 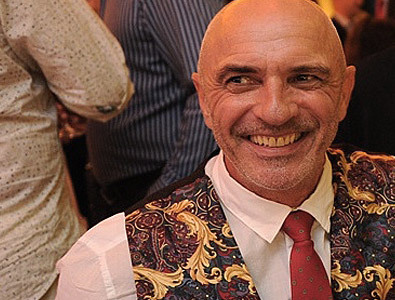 He has a BSc in Marine and Freshwater Biology, from the University of Essex, and an MSc in Applied Marine Science, from the University of Plymouth. Sam has managed marine conservation, education and research projects in Cambodia, Belize, Maldives and the Seychelles. He has worked on a variety of projects, including: the collection of the biological data required to set up the first Marine Fisheries Management Area in Cambodia, the creation of a sustainable lionfish fishery in Belize. and was awarded a UNDP Tourism and adaption grant to build a solid waste management center in the Maldives. In addition, Sam is a PADI Open Water Scuba Instructor. As the Field Station Manager, Sam handles the facilities day to day operations including aspects such as project logistics and site maintenance. Jon was the first research station manager at CCMI (2005-2009) and is currently on his second appointment, having taken a few years break from Little Cayman. He was part of the founding team of the Little Cayman Research Centre, designing and developing the aquatic systems for the facility. He is familiar with all aspects of station life and is responsible for the daily running of the station, overseeing all of the station logistics. His goal is to maintain the level of excellence that CCMI brings to both Research and Education. Jon has a rich background in both environmental research and operations. He initially moved to the Cayman Islands from Venezuela in 1994, spending several years in the dive industry before becoming the captain of the prestigious Little Cayman Diver II. 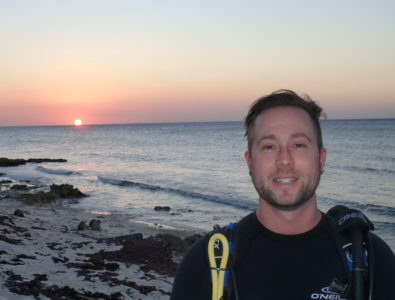 Jon also worked for the Cayman Islands Department of Environment and for the Wildlife Conservation Society in Belize managing the Glover’s Reef Research Station and World Heritage Site. Jon has a wealth of experience that ensures safe professional operations in the field and is always ready to support the local community and CCMI’s stakeholders. Claire Dell is originally from Zimbabwe but grew up in Scotland where she obtained her Master’s in Aquatic Bioscience from Glasgow University. 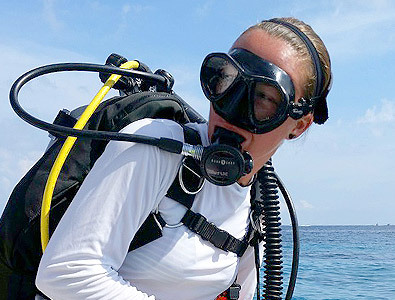 After several years working on Caribbean coral reefs, including those of Little Cayman, she completed her Ph.D. in Marine Ecology from Georgia Tech in 2016. Her research focuses on how species acclimatise to conditions in healthy and degraded coral reefs. Claire conducted substantial field work in Fiji for her dissertation research under the direction of Mark Hay. She is excited about returning to Little Cayman and working to keep the reefs healthy! Claire is funded by the Darwin Plus grant, exploring mechanisms that boost coral reef resilience including fish herbivory. Katie joined CCMI in February 2016. She has a B.S. Degree in Marine Science and Coastal Geology from Coastal Carolina University, USA and is currently completing a M.S. Degree in Marine Biology and Coastal Zone Management from Nova Southeastern University, USA. 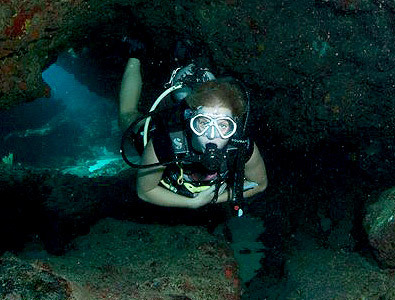 In addition, Katie is SDI Open Water Scuba Instructor. Katie is responsible for the development, planning and supporting the science and society programmes at CCMI, including providing oversight for undergraduate interns, outreach and citizen science programmes. Katie leads CCMI’s sustainability initiative and assists with research and teaching the K-12 programmes. Katie’s goal is to ensure that every person who comes through CCMI’s doors leaves with a better understanding and a stronger passion for our marine environment. Maisy joined the CCMI team in 2018. She has a Msci in Marine Biology from the University of Southampton and spent her third year abroad at the University of Western Australia. 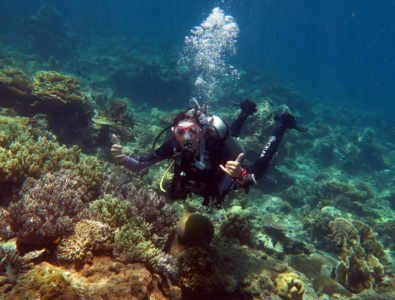 Since leaving university, she has worked on marine conservation projects in Panama, Malaysia and the Philippines as both a marine researcher and educator. In addition, Maisy is a PADI Divemaster. Maisy is passionate about the marine environment and firmly believes that scientific research and community outreach and education go hand in hand. Through her work at CCMI, Maisy hopes to be able to educate and inspire a wide range of audiences about the ocean and its inhabitants. This includes spreading awareness about the threats currently facing the marine environment and how everyone has a part to play in reducing human impacts. Angela Pretorius is a Senior Manager with HLB Berman Fisher. She has 12 years of experience in auditing, financial reporting, accounting and finance including 9 years in the Cayman Islands. Originally from South Africa, Angela served 3 years at Deloitte in South Africa before moving to Deloitte Cayman for 2 years. She then was employed as Senior Manager at Baker Tilly Cayman for 7 years before joining the team at HLB Berman Fisher in October 2018. Angela is a member of the South African Institute of Chartered Accountants and the Cayman Islands Institute of Professional Accountants. Lauren Christie provides the accounting and Financial Controller role at CCMI through the Grand Cayman accounting firm, HLB Berman Fisher. At CCMI she is working with the directorship to achieve efficiency savings, transparency, and serves the financial reporting functionalities for the organization. Lauren started her career with KPMG Audit in London in 2005 and moved to the Cayman Islands in 2008 where she specialized in financial services. She is a qualified Chartered Accountant (ACA), Chartered Financial Analyst (CFA) charter holder and holds the Certificate of Proficiency in Insolvency and has over 12 years of experience in the financial services industry. Lauren is a board member and Treasurer of both the CFA Society of the Cayman Islands and the Museum Association of the Caribbean, and a member of the Cayman Islands Society of Professional Accountants, 100 Women in Hedge Funds and the International Women's Insolvency & Restructuring Confederation (IWIRC) as well as the Institute of Chartered Accountants England & Wales (ICAEW). Robyn joined CCMI in 2018, and has lived in Grand Cayman since 2009, when she moved to the island from Bermuda. An environmental educator by trade, Robyn worked as project manager with the Cayman Islands Tourism Association and Tower Marketing, where she planned and organised projects such as Taste of Cayman and the Cayman Finance Student Education and Work Experience Programme. 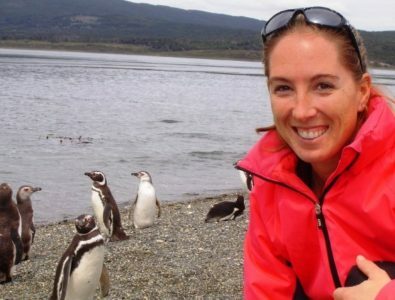 Her passion in life is helping people find their passion, especially if that is protecting and conserving ocean ecosystems. At CCMI, Robyn is the Grand Cayman based contact, responsible for organizing fundraising events, supporting education programmes on Grand Cayman, and supporting the development efforts as CCMI grows and implements new and exciting programmes. Beth came to CCMI in 2017 as a current resident of Little Cayman, where she had been working as a dive instructor/dive center coordinator. Beth has a Masters in Public Relations and Corporate Communications from Georgetown University, where she also worked in communications and event management. Prior to Little Cayman, Beth has worked elsewhere in the Caribbean as a dive instructor, and in her role at CCMI she is merging her passion for marine life with her skills as a communicator. 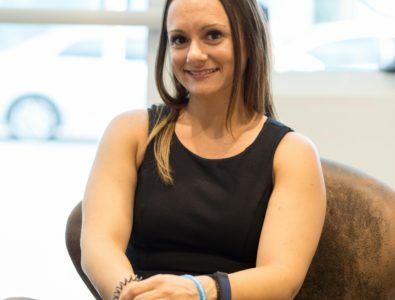 She is responsible for helping to develop and establish a Little Cayman communications plan and is supporting the development team in grant submissions.